Every year, 8th of March is celebrated as International Women’s Day- a day when women are recognised for their achievements, hard work and perseverance. These untapped reservoirs of talent are encouraged for their accomplishments and are provided with opportunities to help the future generations. 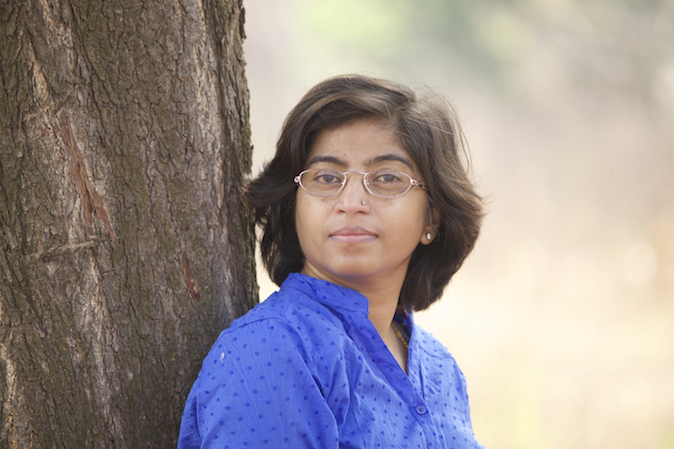 Sunitha Krishnan is an Indian anti-trafficking activist. She is the chief functionary and co-founder of Prajwala, a non-profit that rescues, rehabilitates, and reintegrates trafficking victims into society. At the age of 15, while working on a neo-literacy campaign for the Dalit community, Krishnan was gang-raped by eight men. This incident served as the impetus for what she does today.She has committed her life as a full-time volunteer in Prajwala. A mental health professional, she has done extensive research, and is, essentially, a field practitioner. She has been instrumental in rescuing hundreds of children from severely abusive conditions and restoring their childhood. Sridevi’s family did not allow her to step out of the house for years. She was not allowed to dream. All this did not stop her from rising. She was determined to break the shackles and improve the lives of women from her community. She mustered up her strength, and set up her own production facility, 10 years ago. Sridevi’s motivation was to provide employment to destitute women of a slum in Bangalore. She is now an artisan, an entrepreneur, and a beacon of light for the several destitute women she has employed under her care. She has taught them to save their money, and encourages them to improve their lives. 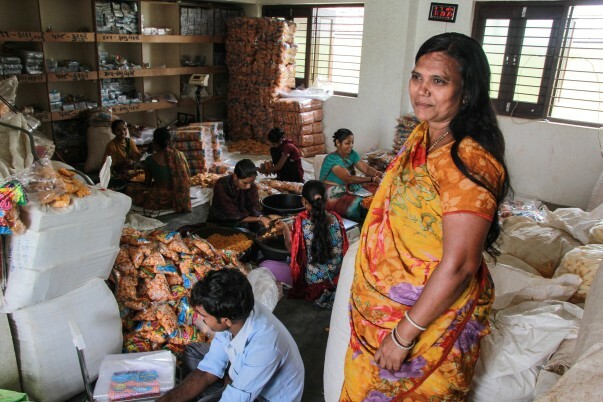 Sridevi now employs over 60 people, which also includes handicapped and widowed women. Sridevi’s group of artisans produces over 1000 paper bags, photo frames, and other handicrafts every month. Her annual turnover is over Rs. 13 lakhs. Her enterprise is an eco-friendly entity that uses only recyclable raw materials. Her products are stocked by famous brands like Mother Earth. Geetaben was a regular homemaker from Gujarat with a special skill: she could cook the tastiest ‘namkeens’ at home. She saw an opportunity to sell them in her neighbourhood, started preparing the namkeens in larger quantities, and sold them to her acquaintances in the area. Everyone loved them! This is when the entrepreneur inside her saw the light, and she took it to the next level.Her namkeens sell all over her district now. She has managed to train people from the slums near her house, and they have a livelihood now, working for her. She employs over 25 people from the slums, and is a respected figure in the area. Ria Sharma, while in her final semester at Leeds College of Arts, was moved by the Oscar-winning documentary film ‘Saving Face’, which documents the experience of acid attack survivors in Pakistan. She says, “I knew I would forget about it the next day, but I didn’t want to forget about it.” She wanted to do something about it. 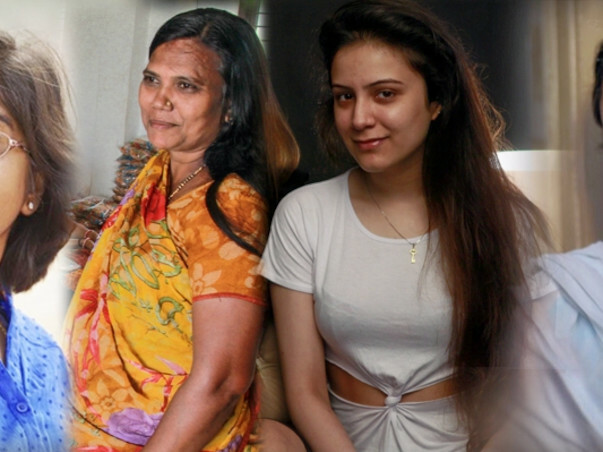 She started a project that has evolved into a movement called ‘Make Love Not Scars’. Make Love Not Scars started off only as an idea for a website where acid attack survivors can have a page for themselves and showcase their talents and stories through weekly video-blogs. However, it soon evolved into a platform that could do a lot more to help them blossom again. The core idea of the website continues, and she plans to build a wider set of activities, including a support group. The support group will invite energetic volunteers and creative youth from all over India to interpret the lives and stories of the survivors through art, such as paintings, music, video documentaries, short films, etc., which can be showcased on the website.